Good morning! It’s still January somehow. 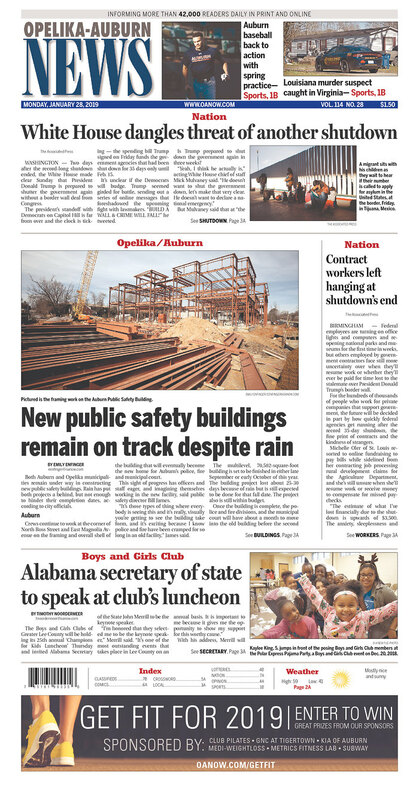 Here’s your Daily News for Monday, January 28, 2019. It looks like we’re going to get some snow tomorrow. The National Weather Service has issued a winter storm warning for a dozen counties in North Alabama from midnight Monday to noon Tuesday. Those are: Blount, Cherokee, Etowah, Fayette, Jefferson, Lamar, Marion, Pickens, St. Clair, Tuscaloosa, Walker and Winston. 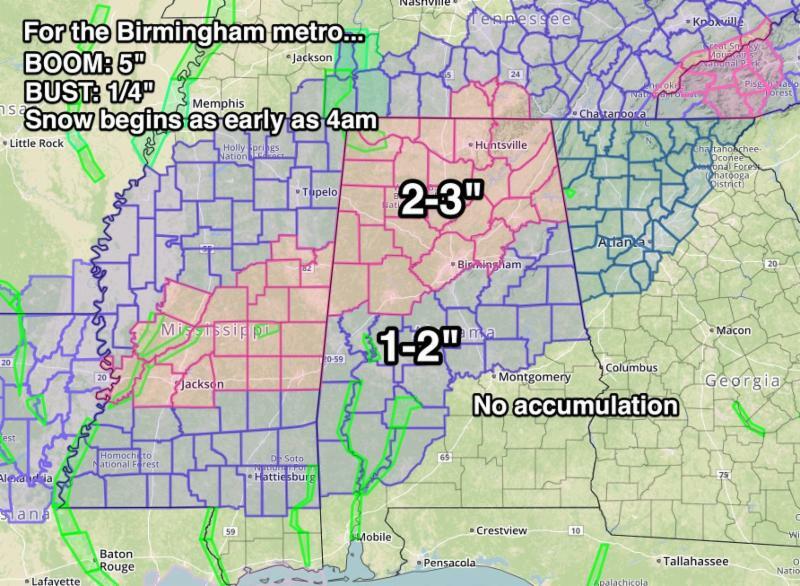 The latest forecast predicts 2-3 inches north of Birmingham and 1-2 inches from Birmingham to Montgomery. James Spann says there’s a BOOM chance of 5 inches north of I-59. That would be a significant snow event. Gov. 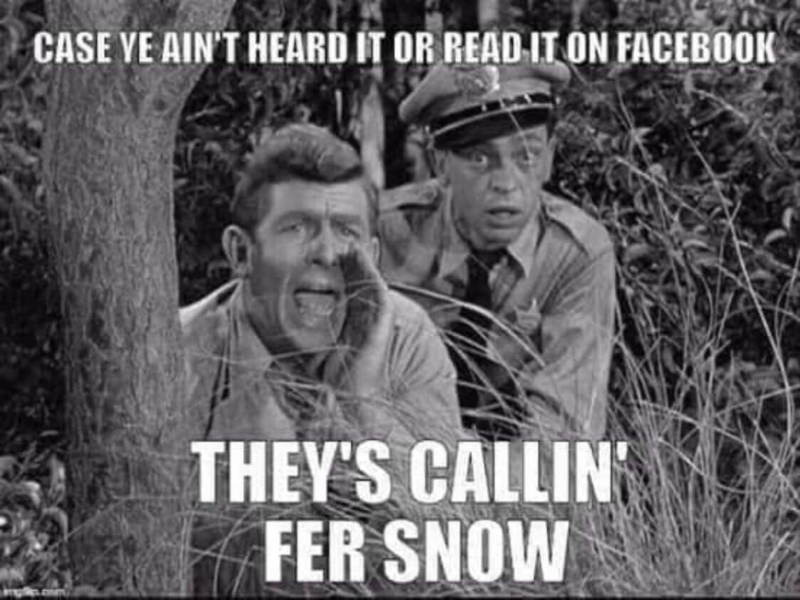 Kay Ivey is calling for everyone to stay informed and heed the latest weather warnings. In other words, chill out and don’t try to drive on icy roads and we’ll all be fine. A good way to stay informed is by following Spann’s Alabama Weather Blog and by following him on Twitter. White House Chief of Staff Mick Mulvaney looks a little stressed – and for good reason. He and other White House officials have to figure out how to get a “win” out of Congress on border security funding in 19 days before the government runs out of money again. Note: Mulvaney had some good news. Federal workers should be getting their backpay by week’s end, though nobody really knows what will happen to federal contract workers. Mulvaney said Sunday that President Trump is prepared to shut the government down again and/or declare a national emergency if Congress doesn’t fund his border wall. “He doesn’t want to shut the government down, let’s make that very clear. 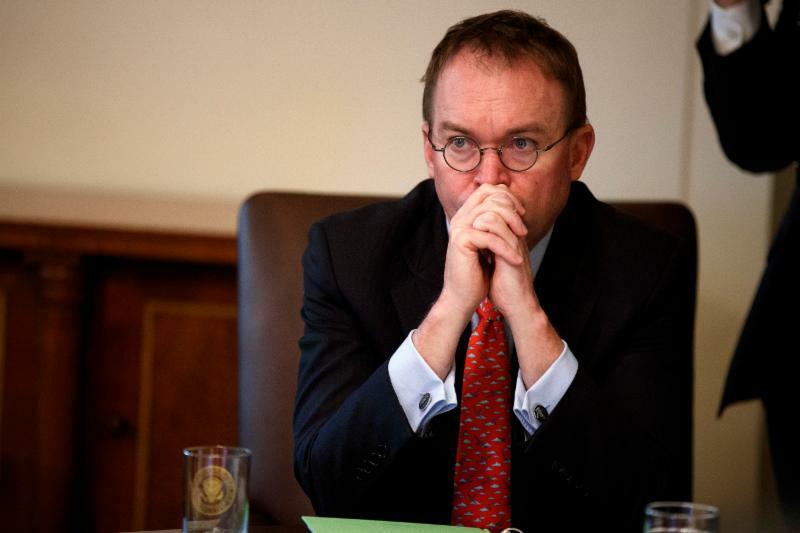 He doesn’t want to declare a national emergency,” Mulvaney said. It’s easy to blame Congress. Many Trump loyalists who won’t deign to criticize the president are doing just that. But Congress may be President Trump’s best/only bet here. Remember: on Friday, we didn’t just get a CR that opened the government. We got a Conference Committee to negotiate the Homeland Security Title, where border things are funded. That Conference Committee will likely generate somethingto send to the president’s desk. Whether that something will be acceptable to him remains to me seen. Trump told the Wall Street Journal that he doubts any compromise will contain his requested $5.7 billion for the wall (he’s right) and that he doubts he’d sign it. I doubt that he wouldn’t sign it, but you gotta do what you gotta do to have leverage. (If you don’t have a WSJ subscription, you can read the basics HERE). 3. A waiting game on tariffs. 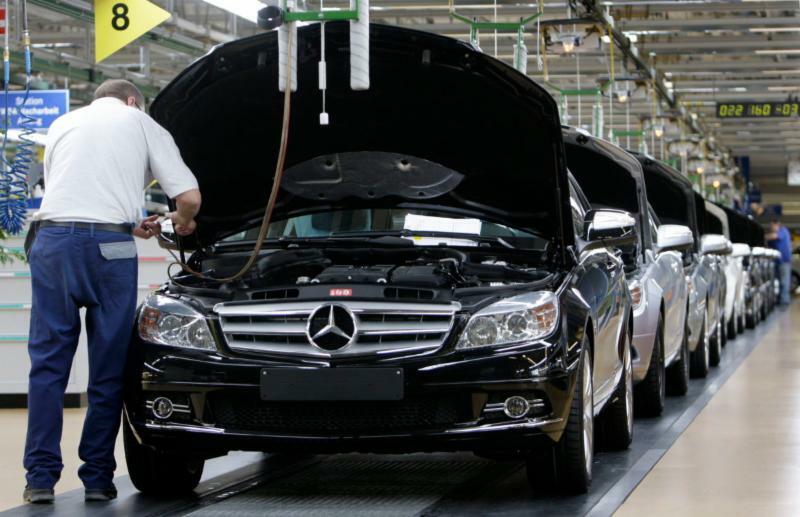 Should the United States go forward in imposing tariffs on foreign-made automobiles and auto parts, the price of Alabama-made vehicles is going to rise. 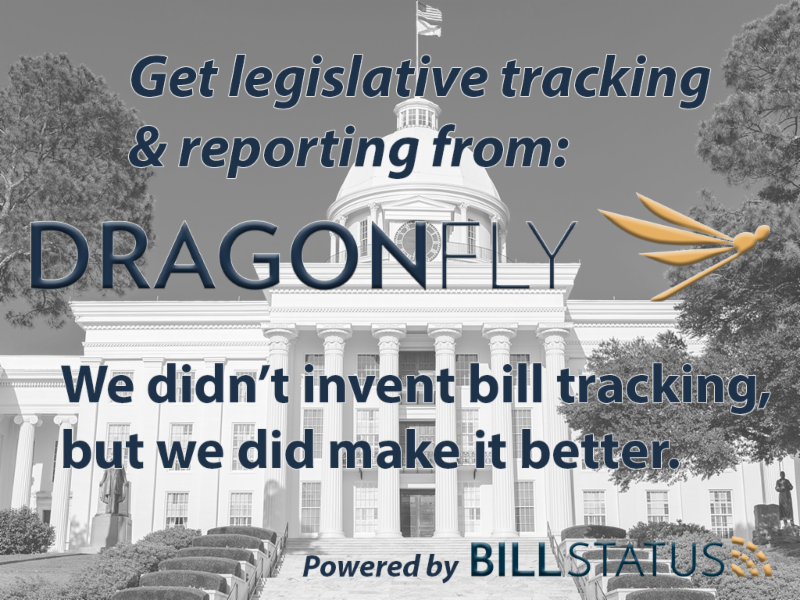 That means the companies who make them will need to adjust their production and sales strategies to remain profitable – which could impact Alabama significantly. The Montgomery Advertiser’s Brad Harper has covered the auto industry for years, and his story about the waiting game auto makers are in right now is worth your time today. The Trump Administration delayed a decision on auto tariffs back in November, but a final call is expected in the next few weeks. Iowa Sen. Chuck Grassley said he believes Commerce will go forward with the tariffs as a stick to prod the European Union to negotiate a better trade deal. “I think Europe (is) very very concerned about those tariffs … It may be the instrument that gets Europe to negotiate,” Grassley said. Meanwhile, Republicans in Congress are building support for a bill that would give the president more direct authority over imposing retaliatory tariffs on antagonistic countries. 4. Cavanaugh: Crack down on telemarketing calls. Public Service Commission President Twinkle Andress Cavanaugh has had about enough of telemarketing calls. It does seem like there has been a real uptick lately, right? Technology has come a long way since 2003 when the Do Not Call list was established, and Cavanaugh argues our laws and policies must be updated to account for that. “Call blocking appears to be the path the FCC and state attorneys general are pursuing for limiting telemarketing calls. In November 2017, the FCC released an order authorizing telecommunication carriers to adopt advanced call blocking technology for combating unwanted telemarketing calls. The FCC order makes adoption of advanced call blocking technology voluntary for telecommunications providers. 5. 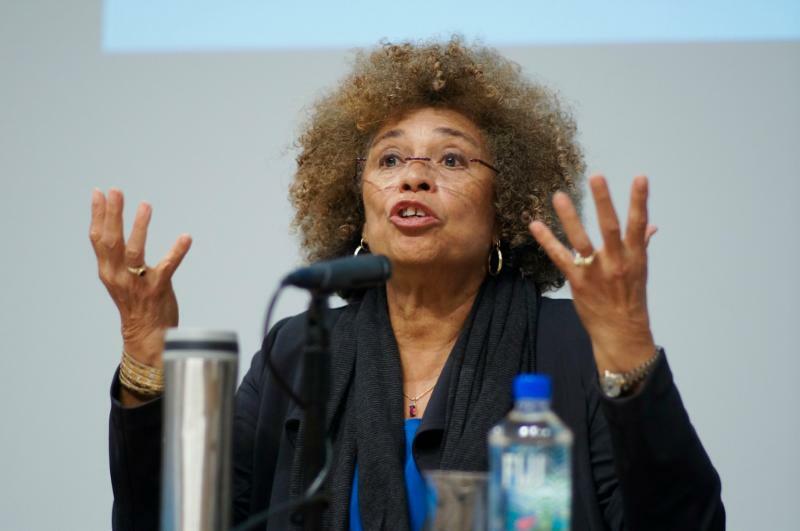 Matthew Stokes: Angela Davis’ lack of judgment can’t be ignored. In case you missed it over the weekend, the Birmingham Civil Rights Institute reversed course yet again and decided to go forward with naming Angela Davis as a recipient of the Fred L. Shuttlesworth Human Rights Award. The BRCI had previously named Davis for the award, then rescinded it when local Jewish groups protested Davis’ history of anti-Israeli work and rhetoric. Then, after protests and write-ups from influential political leaders, the BRCI apologized for rescinding it and named Davis again. 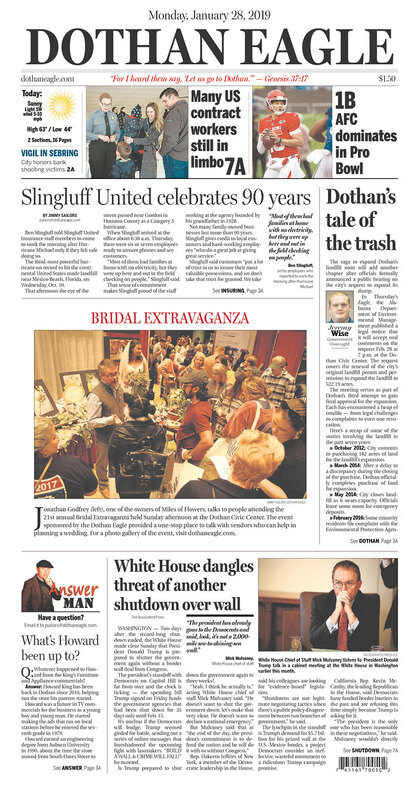 ADN’s Matthew Stokes has a different take than those who criticized the Birmingham Civil Rights Institute’s rescinding of the award. He says that was the right thing to do, and that the whole episode is an unnecessary blight on Birmingham. LAGNIAPPE – Columnist Rob Holbert: Inspectile dysfunction. LAGNIAPPE – Columnist Jeff Poor: Is bipartisanship dead? WASHINGTON POST – Trump will secure border ‘with or without Congress,’ Mulvaney says. WASHINGTON POST – Violence Against Women Act extended in bill that reopened government.